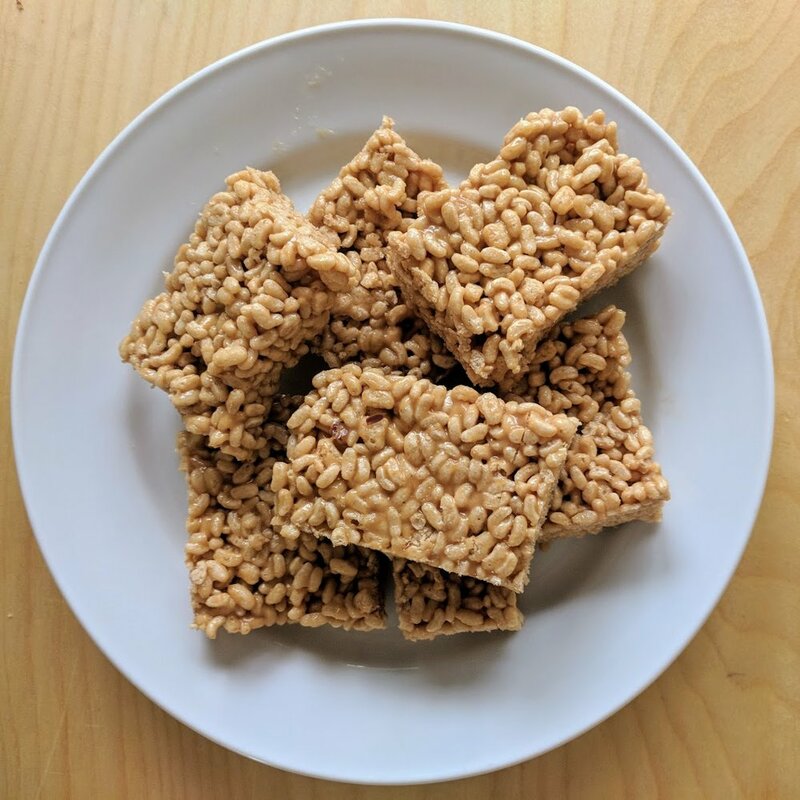 This recipe is really very easy to make, and it doesn't have all the processed stuff that is traditionally in rice crispy treats. This recipe is sans marshmallow and I think it tastes even better without it! 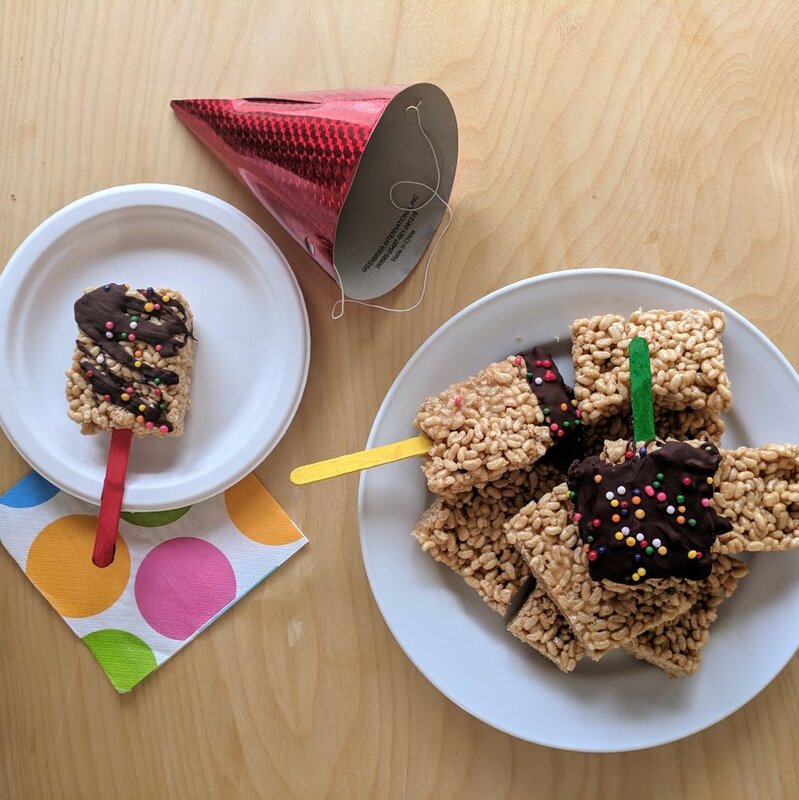 Because this recipe is so simple it is a great one to get the kids involved in. I let mine help me with this one, and he loves it. He even spreads it out in the pan. In a saucepan melt honey, almond butter, and coconut oil on medium/low heat. Meanwhile, combine all other ingredients in a bowl. Once the ingredients in the saucepan are melted pour over the ingredients in the bowl. Combine. Line a 9x9 pan with parchment paper. Pour ingredients into pan and press into place. Put in fridge till cool. Serve.